A basic role front gate have is to protect your home and your property from intruders and uninvited visitors. They serve almost as pre – selective system that help us to buy some time before we decide to let someone in or to go into panic due to the fact that someone is in front of our gate. Basically gates are keeping us safe in our homes and on our properties and they are protecting us from everything else that is going on outside. Gates, on the other hand are just systems and like any other system they have faults and downsides and tendency to break. In fact the main fault gate system has it’s the fact it may break. Gates do not stop working each and every day causing you to lose your head every thirty minutes because you cannot let anyone in or out from your property. Solid, strong gate produced and manufactured by well established and renowned brand on the gate market may well be translated in optimal security. The level of comfort and security you goanna get from you front gate mostly depends on you. If you wish to have optimal security then your gate may do wonders for you, you can opt for a model that comes with a maximum security features and that incorporates various security alarms, locking systems and mechanisms. If on the other hand you live in a relaxed neighborhood where you feel pretty safe you may opt for simpler solution with less security and more functional features. 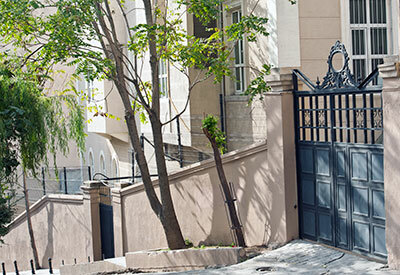 One thing that is definitely a must no matter what kind of gate system do you go for is gate maintenance. 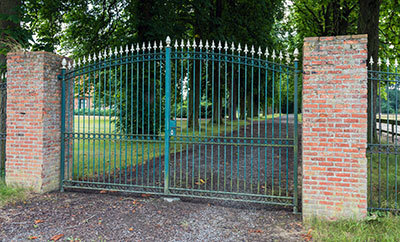 If you do not maintain your gate regularly you can invest thousands of dollars in installing the gate but the end result will be the same – highly questionable gate.